ASU's men's hockey team celebrates their 5-4 overtime win over American International at Oceanside Ice Arena in Tempe, Arizona, on Saturday, Feb. 16, 2019. Despite playing in just its fourth season as a Division I program, No. 13 ASU (21-12-1) on Sunday will likely be the first independent to qualify for the NCAA Tournament since Alaska-Anchorage in 1992. While this accolade is representative of the team's success in recent years, few people typically associate hockey with Arizona, let alone associate ASU with a hockey program slated to make history. ASU coach Greg Powers realized in the preseason what his team could accomplish. At preseason media day in early October, he emphasized that the team would eliminate excuses, including playing in Oceanside Ice Arena, a rink not within Division I quality. Powers also asserted what he and the team believed was possible and the expectations. “Every time we skate onto the ice, we expect to win,” Powers said. With its resume complete, ASU hockey has to patiently wait for Selection Sunday. There is nothing more the Sun Devils can do to improve or make an impression on a committee, but ASU will hear its name called on ESPNU. In the most recent College Hockey News Pairwise Matrix, there is little doubt as to whether ASU will advance to the NCAA Tournament. At 100 percent, it predicts ASU as a lock. For junior defenseman Brinson Pasichnuk, this isn’t necessarily a surprise. “I remember our first media day of the year, and I heard countless interviews with the guys and they asked what our goal was, and they all said, ‘To go far in the tournament,’” Pasichnuk said. “That is what we expected all year, and it has come into the light and now it is here. Now, we are just focusing on it, and we are excited. However – at this moment – whether ASU makes the tournament or advances in the tournament doesn’t determine the how significant this season has been. This season, regardless, will be a success. Making the tournament would only add to the achievement, continuing to prove any critics wrong. With a challenge-filled schedule, ASU had chances to make an impact. ASU quickly gained national recognition and jumped into the rankings with impressive performances throughout the regular season, including nearly winning against then-No. 1 Ohio State at Oceanside Ice Arena, splitting a series at Penn State, Harvard and Boston University, tying Minnesota State in Gila River Arena and sweeping Michigan State and Boston College. Throughout the season, Powers has sent his players the same message: He wants them to continue to establish the tradition and change perceptions. With the improved culture, prominent talent and construction started for new 5,000-seat arena adjacent to Wells Fargo Arena, the future continues to be bright. Pasichnuk, star junior goaltender Joey Daccord and sophomore forward Johnny Walker, who has a team-high 22 goals and 10 assists, lead ASU, right now, but with the successful season, recruiting will also become less difficult. Freshman forward P.J. Marrocco didn’t experience the tough times, but he said he has heard the stories. Since Pasichnuk arrived in Tempe, he and his teammates dreamed and worked toward making the NCAA Tournament, and the Sun Devils have reached that time. Reach the reporter at nahiatt@asu.edu or follow @NATE_HIATT on Twitter. 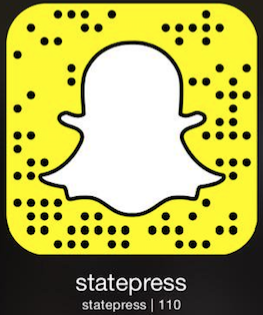 Like State Press Sports on Facebook and follow @statepressport on Twitter.